What is Anger in Children and Teens? Physical: How the body prepares for “fight or flight” (for example: inducing a rush of adrenaline and increased heart rate). Cognitive: How we perceive and think about what is making us angry (for example: thinking something is unfair, wrong, or undeserved), these thoughts generate emotion that can intensify anger (like feeling betrayed). Behavioral: How we express our anger (for example: slamming doors, storming away, raising our voice, hitting others). Some doctors in the field have suggested that anger disorders should be a diagnostic category of their own, but currently there is no diagnosis for children dealing with anger issues.3 Children and teens dealing with anger issues are sometimes also dealing with a co-occurring mental health disorder. Stressors: Can include conflicts with peers or teachers, teasing, pressure from parents or academic failures. Parenting: Parents who are overly strict or harsh and use frequent physical punishment have children that develop low self-esteem and anger difficulties. Having parents who manage anger poorly creates children who manage anger poorly. Grief: A child may be stuck in the grieving process. Social Skills Deficits: Children lacking social skills find it difficult to get along with others and become frustrated and angry. Learning Disabilities: Frustration of not being able to learn the same way peers do can result in anger. Temperament: A child’s natural temperament is determined by as much as 50% by their genetic makeup, some kids naturally have a temperament that makes them irritable, short fused, and easily frustrated. Sensory Integration Dysfunction: Children with sensory integration problems overreact to everyday stimuli and can lead to anger. Language-Processing problem: Children who do not know how to express their feelings with words can become angry and explode. Mood Disorder: Children who are bipolar, depressed, or anxious may develop angry outbursts. 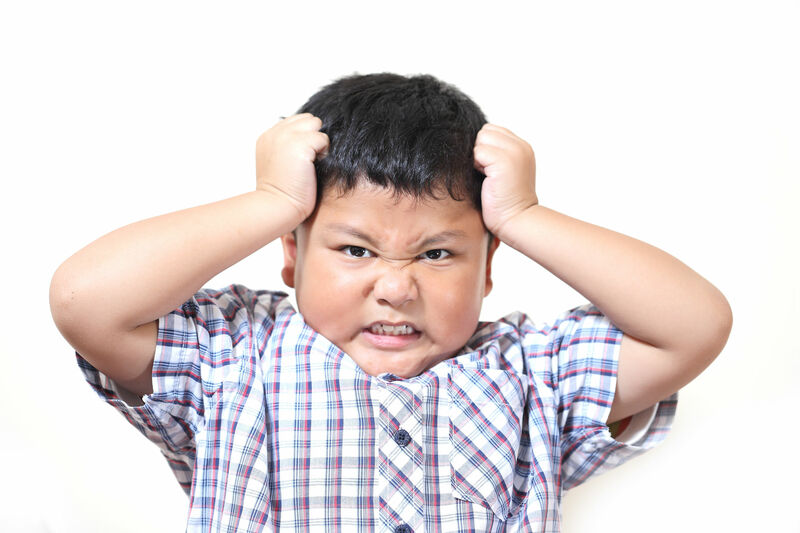 ADHD: A combination of impulsive behavior and constant frustration can result in angry outbursts. Abuse (sexual, physical and emotional): Children who are maltreated are more likely to develop aggression and inappropriate behavior. What can be done to treat Anger in Children and Teens? Don’t judge them for their anger, let them know that all feelings are allowed, only actions need to be limited, such as hitting. How you respond to anger can influence how your child responds to anger, bring calm to the situation, and don’t yell at your child. When you see early warning signs of anger, give your child a gentle reminder that you’re noticing angry signs and now could be a chance to try their calming strategies. Have a specific goal you work toward (eg- keeping tantrums away during the morning) and keep track of progress. Use positive feedback when they’re trying their strategies or meeting a goal. Set limits- allowing feelings does not mean you allow destructive actions. Kids should not be allowed to hit others, including their parents or destroy property.